love these stories, and the narration. Found this through No Sleep. Its a great addition to my horror podcasts. love the narration! The circus is supposed to bring job, right? A little ambiance for the Halloween season. Enjoy! Those stories your parents tell you just to scare you? Sometimes, they're real? Sometimes it seems like fast food is everywhere. But, what if it was everywhere? It's good to own property, right? A place you can fix up, rent out, turn into a getaway. Except, what if the problem is that you can't get away? How far would you go for your art? How about someone else's? Women get assaulted. Women get attacked. Women get harassed, manipulated, but women are survivors. Time and time again, she persists, even against all odds. Just a walk in the park...that's supposed to be something fun and easy, right? Well, sometimes, it's just about the worst thing imaginable. The things a person will do for money are driven by need and sometimes darker things. Beware the darker things. Don't open your eyes. 31 Days of Horror Annoucement! Story submissions must be less than 3000 words and WELL EDITED. If you have a preferred narrator for your story, also please send that information along. Creepy claims no rights to the stories submitted. By submitting your stories to this podcast, you are allowing the audio production alone. Subscribe to us on YouTube for your chance to win an X1S microphone or podcast shirts! How far would a person go to protect what they loved? 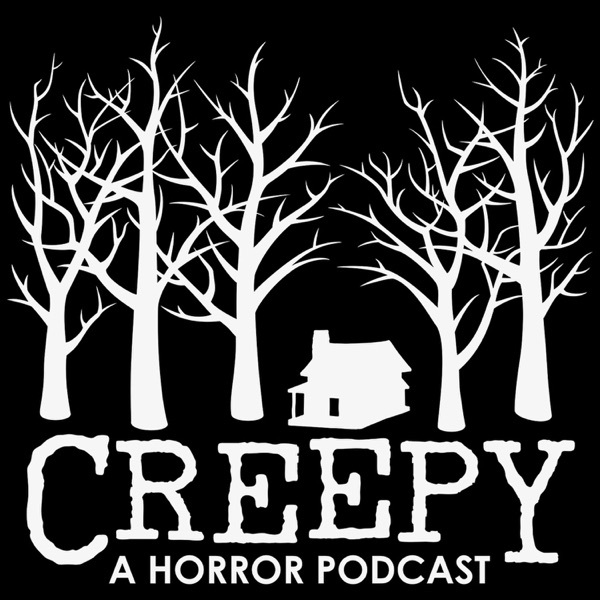 Follow us on Twitter and Instagram @creepypod and facebook.com/creepypod for your chance to win a NSP season pass! What if that voice in your radio wasn't just talking, but it was talking to you? Guest narration by David Cummings and music courtesy of Brandon Boone. What could be better than a nature walk with friends? How about the exact opposite of that? In space, no one can hear you cry. The silence. The cold. The isolation. How much could you take? Sometimes we need time to find ourselves, but what if that time away resulted in losing everything? Everything. For centuries, humanity has looked to the sky and wondered, wondered what is out there. What happens when whatever is out there, sends us a message? Who will hear it? Our choices and actions have consequences. What would you do to get everything you thought you ever wanted? Credited to Creepy Thomas O. Guest Narration by Molly Lankford. Guest narration by (The Lake in the Woods) Nichole Goodnight and (Do Not Let Her Inside) Owen McCuen, Rhiannon McAfee and Mary Miller.